Culture, history, beauty. Food, passion and style. Passion, style and wine. The nutty French. Appreciation of beauty. Everything is beautiful. Lifestyle, food, photogenic-ness (I know, I made that last word up, but I had to condense it into one word). History, beauty, passion. Gardens, markets and meals. Cuisine, style, beauty. Food, new, old. Pain au chocolat. Food. Wine. Scenery. Culture. That's four. I cheated. Joie de vivre. Delicious, dreamy, exhilarating. Le pain chaud. Food, people, travel. Contrarianism is mainstream. Great health care. Freedom, Food, Travel. food, culture, language. Healthcare, food, history. Classic, timeless, beauty. Tradition, Elegance, Taste. Timeless, passion, gourmandises. Complex. Romantic. Home. Its diverse regions. Slower paced life. Food, wine, architecture. Liberté. Egalité. Fraternité. Joie de vivre. Bread, cheese, wine. The artist spirit. I live here. Pain au chocolat. 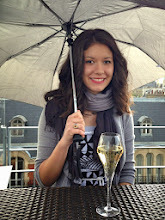 Family, gourmandise, Paris (because pain, vin, fromage is a little too easy!) Universal Health Care. Style. Passion. Pleasure. Tradition Juxtaposed with'Tendance' (trend). Conversation without end. History. Beauty. Food. Salty, creamy, butter. Bread, wine and cheese. Enriches my perspective. Love of craftsmanship. Flair for living. Beauty, tradition, terroir. Beauty, tradition, discipline. Craft. Stories. Wine. Paris, landscapes and baguettes ! Provence at dawn. Art de vivre. Eye Candy and Lights. La Vie Française. Beauty. Decadence. Arrogance. Beauty, Manger, le Ciel. Earthy, Taste, "Joie-de-vivre." Champagne, chèvre, chocolate. Beauty. Paris. Provence. History, food, art. The two most important words - about living anywhere - for me are home and adventure. Weather, weather, weather. Just kidding. Wine. Cheese. Exploration. Can we make it 5 words? Eyes, ears, nose, tastebuds + brain. Delicious Daily Surprises. Liberté. Égalité. FOOD. I know what you mean about everyone thinking you should be totally excited to embark on something so big, but you're not. I've done this tons of times and it's just the adjustment period you have to get through and then you're set! I'm sure the french language will come back to you; we just got a French technician on our site who I've been practicing my 6 year non existent French practice with, and as scary Asia was at first, it's getting better! You'll have a great time, and i can't wait to visit you! I can relate. I just moved from South Florida to Indiana, and I'm having my own little version of culture shock. I've traveled a lot before but since I'm here for 2 years, it does seem a lot more permanent. But good luck to you, I'm looking forward to your Paris posts. @Grace: Exactly. Thank you for the luck! And good luck to you, too. Hopefully I'll have lots of great things to share while I'm in Paris. i so so so relate! i feel the same way whenever departing or arriving anywhere. i think that's because we are nomadic souls of sorts :) everywhere is home.